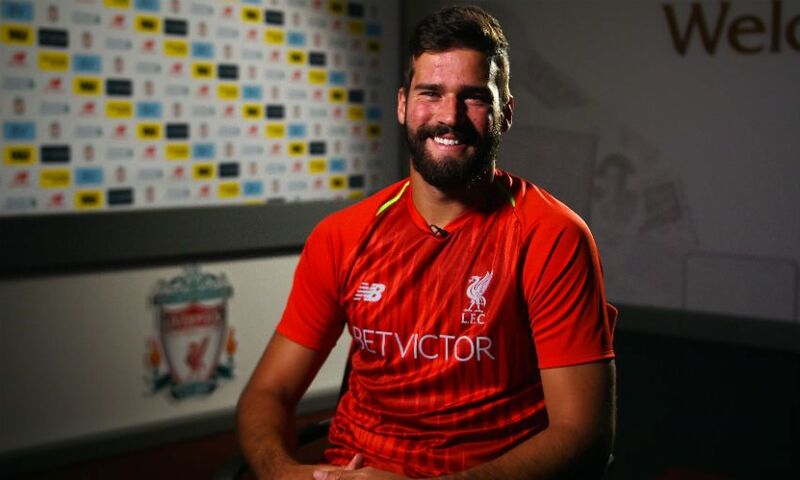 Alisson Becker delivered a wide-ranging and insightful interview to Liverpoolfc.com after joining the Reds on a long-term contract from AS Roma. The Brazil international became the club’s fourth new arrival of the summer late on Thursday having completed a medical and penned a deal at Melwood. 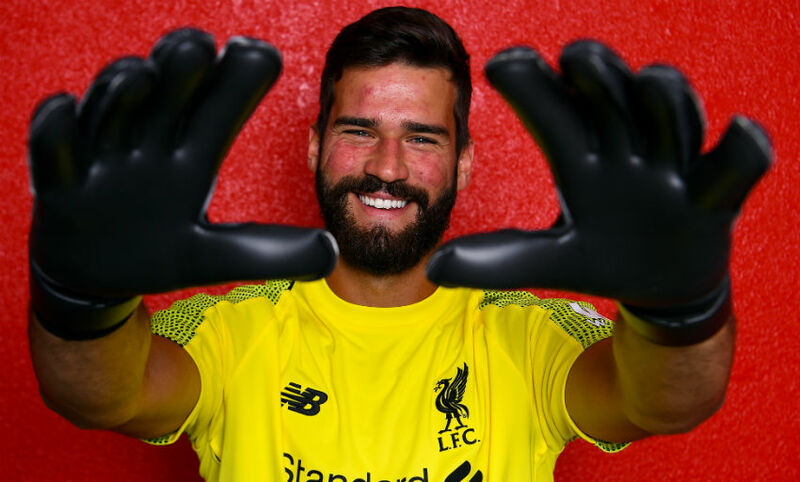 Shortly after sealing the necessary formalities, Alisson sat down for his first official interview and spoke on a variety of topics – including the factors in his decision to join, his style of play, working with Jürgen Klopp, and his ambitions for the future. Watch the full chat on LFCTV GO now or read on for a transcript. How pleased are you to have got this deal done to become a Liverpool player? I’m really happy, it’s a dream come true to wear such a prestigious shirt for a club of this size that is used to always winning. In terms of my life and my career it’s a huge step for me being part of this club and this family. You can be certain that I’ll give my all. Is it true that you cut short your holiday to fly to Liverpool and come and get this deal done? Yes, I did cut them short a bit but I was immensely satisfied to do so, to make this dream come true and take the next step in my career. It’s a step forward and when you’re happy in what you’re doing, nothing is a sacrifice, so I left my family behind to get the issues resolved. I’m also representing them here, they’re here with me in my heart. I’m really happy with what I’ve seen here, it’s so organised. This is going to be our new home. There has been a lot of speculation about you this summer, but why are Liverpool the right club for you? As I said previously, Liverpool are a team with a habit of winning, that have fanatical fans that are behind the team in every game. Playing against them last year in the Champions League, I was able to experience that atmosphere and that game had an influence on me. Once I heard they were interested in me, I started thinking about the possibility of playing for Liverpool. I’m coming from a club where I was very happy and I’m sure I’ll be very happy here. I’ll give my all to give something back to the fans and join this team because it’s a developing group achieving great things. They got to the Champions League final and that’s something that motivates me, to be part of a group that competes at a high level. I believe this is going to add a great deal to my career in terms of professional growth, so I can add something to the team for the team to grow even further because it’s a massive club. Have you had an opportunity to speak to Roberto Firmino about Liverpool and if so, what has he told you? I’ve spoken to him. I had spoken to him before things really started to happen. When the negotiations became official I spoke to him and I only heard good things about the club and the city. He is a player who feels really at home here. He is loved by the fans and really popular with his teammates. He is a great person and only had positive things to say. He said if I were to come here, I’d be really happy as well. Putting our friendship to one side and the time we spent together with the national team, I’m really happy to be at the same club as him and have the same daily routine as him. Hopefully we can develop a great deal together. You played against Firmino, Mohamed Salah and Sadio Mane last season… how pleased are you that they will be on your side this season and you don’t have to face them? Really happy! It’s tough being up against them – and not just them. It’s not just the three of them up front but the whole team. That’s based on the games I played against them. They had a great year, I felt the strength of the group – there aren’t just three players, there are 11 players as well as the players coming off the bench. They showed a lot of desire to win so it’s exciting for me to have the three of them up front to win games. It’s important and I’m really happy to have them by my side. One of those games was of course at Anfield - the Champions League semi-final, first leg. What did you make of the experience and the atmosphere? I think it was one of the tensest games of my career and one of the most exciting. I think the Anfield factor contributed a lot to that. Putting the result aside, which was an unfortunate moment in my career – but it wasn’t my first defeat and won’t be my last, we have to deal with these things as professionals – it was an amazing game. I remember for 35 minutes we went toe-to-toe, it was a balanced game, but from the moment the fans started believing in the team it brought an energy into the stadium and the players grew. It was the moment they started growing into the game. Salah scored the first goal, sending the stadium into delirium – it was incredible. Players hope for that type of support from the fans. For me, that’s great for this coming season. Hopefully I can benefit from it and my performances will become even better on the pitch. How influential was that night in your decision to want to join Liverpool? Yes, in part it did influence the decision. When you make an important decision like this it’s not just a decision to change clubs, it practically changes your entire life, my family’s life, my wife, my daughter. That game definitely did have an influence but I also watched other games. I’ve seen other games where I could see the way Klopp had the team playing. That has made me really excited to be part of this group. Apart from the fact that the club is massive, the players that have come through here and the titles won, hopefully I can play a part in the history being created here, win titles and be a part of the project that has been developed here in the past few years so we can see Liverpool rise once again. You know Mo from Roma. Have you had any contact with him? We didn’t have that much contact after he left Roma, we met again in the game when we were up against each other. Yesterday, he sent me a message saying: ‘Hey, what are you waiting for?’ As the negotiations were at an advanced stage, I replied to him straight away saying: ‘Calm down, I’m on my way!’ I’m really happy to have the opportunity to play alongside him again. As well as being a great player, he is a huge character and a great person – which is the most important thing. To be with these great people and players day to day is fantastic for me. Your fellow goalkeeper from the national team is also in the Premier League - Ederson at Man City. Have you spoken to him about what to expect from this league? Yes, we spoke. I actually spoke to all the national team players who play in the Premier League, asking about what the league is like and the style of play. It’s one thing watching it on the TV but being involved in it every day is another thing. I only heard good things. If not the biggest, the Premier League is one of the biggest leagues in the world, it’s very competitive and I find that exciting. I like challenges. I came here because it will be a great challenge for me, at a very high level of football and be among these great players in a great team like Liverpool. What kind of qualities are you hoping to bring to Liverpool? How would you describe yourself and your style? I like to show my ability on the field. I’m not one to show off with words. I’m really looking forward to the chance. I’m a calm goalkeeper and above all I’ve got a real desire to win. When I get on the pitch I give everything for the team, everything for the shirt. Fans and players can expect a lot of dedication from me on the pitch and in day-to-day training. I look to work on all aspects of my game, always aiming for perfection and looking to improve every day. I’m quick to come off my line. I’m an agile ‘keeper; despite being tall, I’ve got very good agility and strength in my legs. With the ball at my feet, I like to get involved in the play. I think my style of play will fit in very well with Klopp’s style. I look forward to knowing what he expects of me, to define my style here at Liverpool. You’re a goalkeeper who is renowned for distribution skills. How much do you think that can help your new teammates given the style Liverpool play? I believe so. It is a team with a lot of quality, from the defence to the attack and through the midfield. When the play starts from the back and the ball arrives in a good way for the attackers to shoot, it’s always better. I hope my style can contribute to the team and I’m going to dedicate myself day to day, respecting everyone. I’ll give everything to help Liverpool grow. You’ll have a new manager in Jürgen Klopp. How much are you looking forward to working with him? I have great expectations. I’ve followed him since Dortmund, I’ve always admired his style, even more now having played against him. He’s a very intelligent manager and he has a very clear strategy on the pitch. This team is very difficult to stop, with huge attacking power and defensive consistency. I’ll join this project straight away, I hope to adapt as soon as possible. I don’t anticipate any problems with the language or playing style. The difference in the Premier League is that it’s very competitive physically so I’ll try to improve in that aspect as well and adapt as soon as possible to the style of play. Have you had an opportunity to talk with him yet and, if so, what has he said to you? 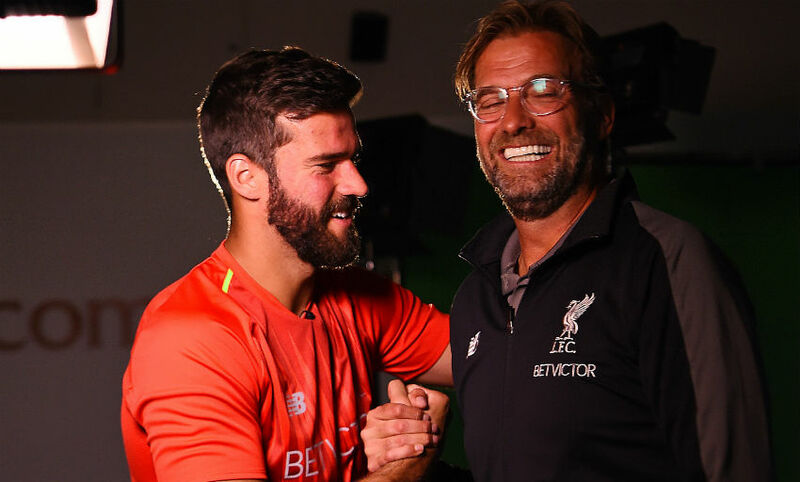 We had a short telephone conversation, he told me about the team and his style and a bit about what I can expect here in Liverpool – the city as well as the club. And the organisation of the club and the sporting project here. The club needs no introduction: the badge, the trophies, the achievements. They speak for themselves. He spoke about his coaching style. It was a short conversation but a positive one and I’m looking forward to meeting him in person. I’m mainly looking forward to getting on the pitch and working alongside him and my teammates, doing what I love most – playing football. Can you sum up the emotions of the last couple of days as this deal came to completion? There were a great deal of emotions and long periods of conversation. They weren’t easy but I’ve a lot of faith in God, I put my faith in him. I prayed and I left this moment to God’s will. I made the decision to come here together with my advisors and most importantly my family. As I’m on holiday, I put a lot of thought into this. During the World Cup I put everything to one side so I’d have no distractions. While I was on holiday I became excited about this, I became a bit anxious to come to a decision about where I’m going in my life. I’d already made my decision to come here. When it all worked out and we received the green light from Roma and from Liverpool, it was a really happy moment for me, my family and my advisors. Finally, we always ask our new signings to give a message to fans watching, so what is yours to them? My message to everyone is that I’m really happy to be part of this team and this family. I’m the type of guy that always wants to succeed in life. I came from nothing and I’ve arrived at this moment in my career. Thank God, together with my family and the people who work with me. Rest assured, I’ll give everything on the pitch. I’ll bring them a lot of joy. I hope for their support and I hope to meet their expectations of me.